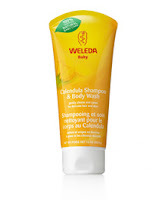 Last Chance: Enter to Win the Weleda Baby Care Gift Pack! If you haven't already, make sure you enter the Weleda Baby Care Giveaway. No entries will be accepted after 11:59 Central Standard time on June 21st, so you have a little time to enter before the contest ends!